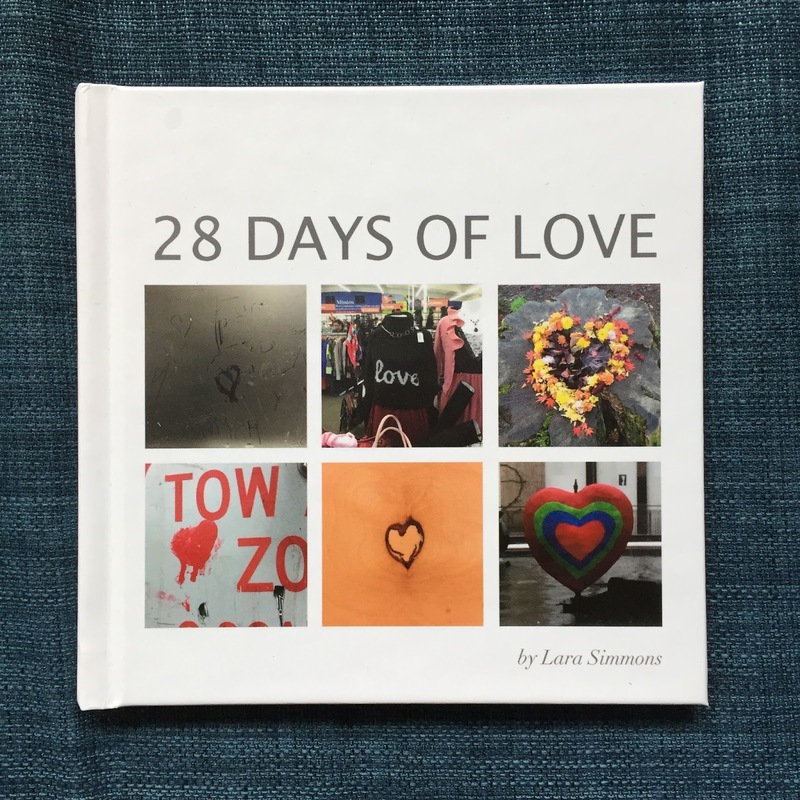 lara simmons, writer: 28 Days of LOVE the eBOOK! "Patience. Understanding. A cup of hot tea...." --From Day 1 of "28 Days of LOVE"
So begins MY definition of LOVE on the first page of my latest book, 28 Days of LOVE. As we head towards Valentine's Day, many of us may be thinking more about LOVE than usual. How to express it. How to find it. Maybe even how to define it. If you are thinking about LOVE this week now is the perfect time to buy 28 Days of LOVE. Whether you have twenty-eight days, or only 28 minutes, my new book will help you explore - and find - your own definition of LOVE. Full of photographs of "found" hearts, inspirational quotations, as well as exercises and meditations designed to bring more LOVE into your life, this is the perfect book for February explorations. Starting TODAY, 28 Days of LOVE is available in electronic format from the Blurb website for just $4.99. Just follow this link to purchase a copy. May you find all the LOVE your heart can handle this Valentine's Day.